Scott Sports Road Premium Shoes are now in stock. 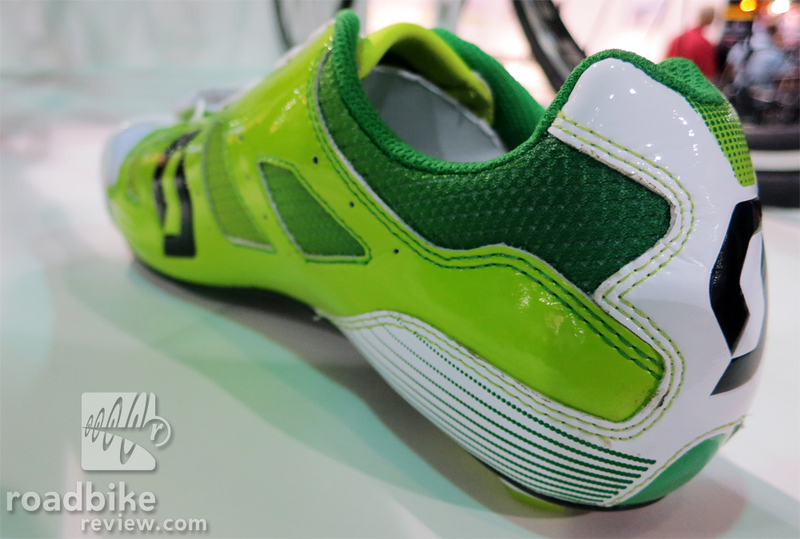 The shoe of choice for the ORICA GreenEDGE professional cycling team, the shoes will be offered in their green colorway. The Road Premium shoe is an “ultra-lightweight” road shoe weighing in at just 290 grams. The Road Premium shoes feature an enhanced new upper construction which utilizes a series of ribs to effectively wrap your the foot and create a secure bridge between the sold and the BOA lacing closure system. Mesh is also utilized in areas between the ribs to offer ventilation and keep the foot cool. The Road Premium shoes also utilizes Scotts ErgoLogic Insole, which allows for custom metatarsal and increased arch support, allowing the user to dial in their fit. 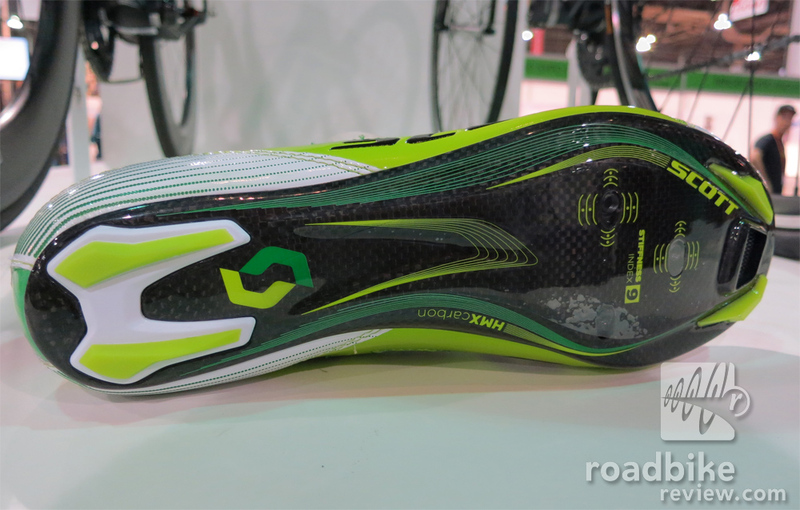 The HMX carbon Power Zone Outsole rates a 9 on Scott’s stiffness index, which should optimize power transfer. Available in 11 full sizes from 38-48. 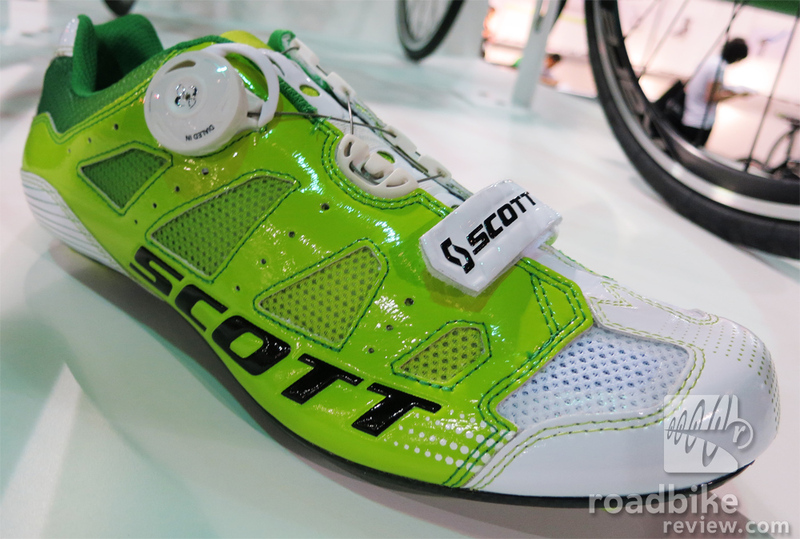 The Scott Road Premium Shoe is available at Scott Sports dealers now.